No matter how long you’ve been in business or how fantastic your product may be, it’s always important to get your name out there and attract new clients. 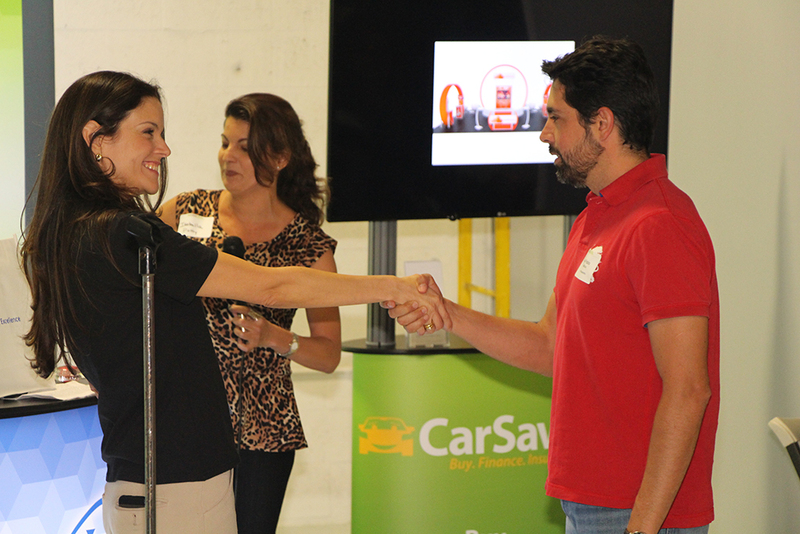 It’s for that very reason that trade shows are so popular with attendees and presenters alike; these types of events bring competitors together under one roof—or arena—to sell their services and products to a captive audience. And while reserving space at a trade show does ensure that attendees have access to your product or service, it does not guarantee that anyone will take notice of your booth. Make sure that your company, service, and display is represented in the best and most efficient way to attract prospective customers by using quality signage to its fullest potential. By literally putting your brand out there for all to see you can help to make sure it’s not soon forgotten. Over are the days when the entire scope and breadth of your business had to be encapsulated in a single image or poster. With the advent, popularity, and convenience of digital banners and stands, you have the freedom to showcase as many images as you like in one easy-to-display unit. 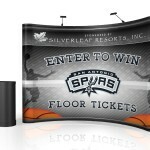 Digital banners are portable, and may be uploaded with as many graphics as you need. Many types of digital banner stands feature speaker units, and Hi-Definition screens are quickly becoming standard to showcase your work at the highest quality possible. It’s true that many trade shows take place inside venues like convention centers and hotel ball rooms, but that is not to say that you won’t ever find yourself manning a booth outdoors. Proper signage may be even more crucial when you don’t have a roof over your head, since there are so many factors and distractions that you simply can’t account for. Tools like double-sided retractor banners, 3-D graphic spades, and lightweight aluminum stands provide exhibit booths with the visibility they need in a bustling outdoor environment. Your exhibit booth’s main sign might be striking and eye-catching, but it’s only visible to trade show attendees that are actually at your display. It’s possible to make your first impression first by showcasing your brand with a strategically positioned retractable banner. 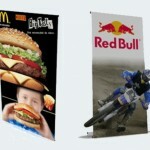 Banner stands come in a variety of sizes and are incredibly portable. Simply place your banner at the entrance of the trade show venue or in the hotel lobby and get to the business of introducing your product to clients before they even find your booth on the floor of the showroom. With so many booths to see and such huge crowds to negotiate through, sometimes it’s a wonder that trade show attendees ever find the products and services they’re interested in, let alone differentiate one display from the next. That’s where your booth’s signage really comes into play. By using easily noticeable markers that speak to both the name of your business and the type of services or products you offer, you take the first step in making a meaningful connection with prospective customers. And when it comes to presenting at trade shows, getting and keeping your audience’s attention is the ultimate goal.